For the most current updates, scroll down to the bottom of this page. additional chess pieces and chess books. Questions? Send an E-Mail via our Contact page. You DO NOT have to be a paid member to join us at the park - all are welcome! To bring together chess players in Pawtuxet Village and surrounding neighborhoods who would like to share their hobby and interest in chess with each other. To foster a mentoring atmosphere between adults and young people who share the love of chess. To provide an organized chess tournament venue for competitive-minded Club Members. To promote increased knowledge and understanding of the game of chess for its own sake as an art and as an intellectual sport. The Pawtuxet Village Chess Club seeks to foster the development of its Members as chess players and enhance their appreciation of the game of chess. 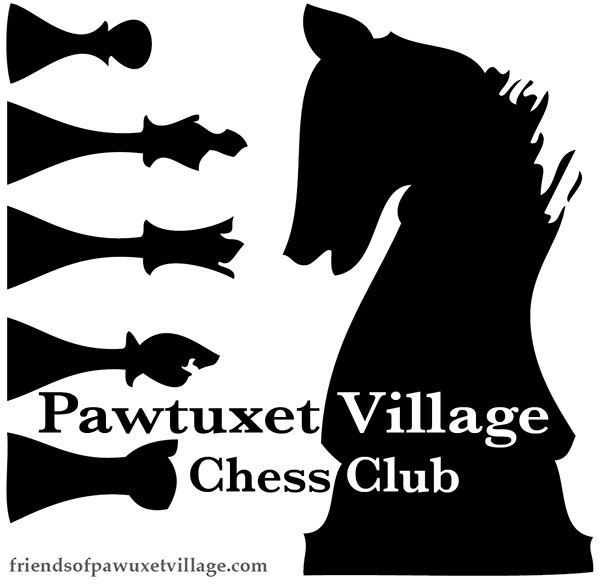 Membership in The Pawtuxet Village Chess Club is open to any person with an interest in chess, regardless of his/her experience or playing ability.